We created these women's shorts for running, dancing and studio work. Conquer any LES MILLS™ session in comfort thanks to perforations that help vent hot air at the sides and Speedwick technology that wicks moisture. 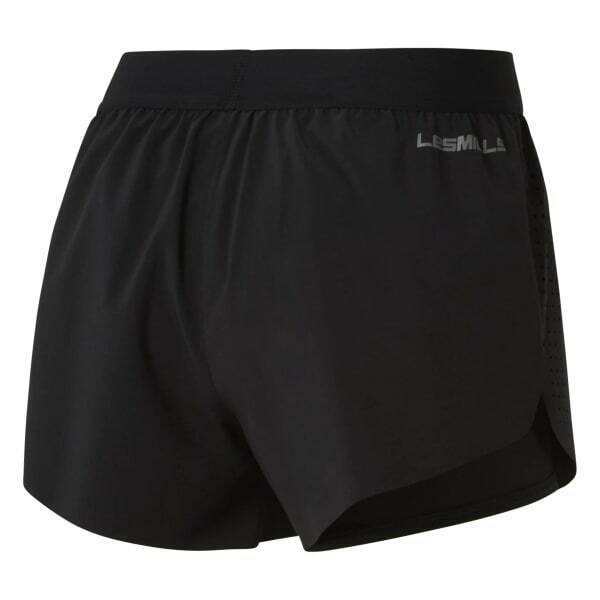 An exposed waistband helps hold these muscle supporting shorts in place while you step it up.